What is the case against John San Agustin? What is the case against Former Commander John San Agustin? Here is the background on the case against John San Agustin for kidnapping. Back in September of 2013 an individual named Kelli Trull was interviewed concerning a domestic violence with a deputy at the El Paso County Sheriff’s Office (EPSO). During her interview she recanted her original story given in August that her Deputy boyfriend was the instigator of the violence and stated she actually started the fight. There is a lot of questions around the truthfulness of her interview(s) because she has given multiple versions before and since her interview in September of 2013. It was suggested her boyfriend persuaded her to change her story in an attempt to get his job back; which never happened. Kelli Trull was arrested by Detective Lisa Kaiser (Montville) for domestic violence along with a couple other charges; they were all later dropped. For two and a half years Kelli Trull kept to her story that she told the truth during her interview in September of 2013. This includes multiple interviews with CBI (Colorado Bureau of Investigatioms) agents who encouraged her to provide them “more” information. Why was CBI interested in an old misdemeanor DV? And why would they contact her many times attempting to get “new” information from her? Does it sound like they were encouraging her to tell them a different version? One that would fit their agenda? Finally, in the spring of 2016 after numerous interviews where she never mentions Terry Maketa; she changes her story, yet again, and tells CBI agents that Sheriff Maketa and her boyfriend told her to change her story. They determined, based on her new testimony, that the arrest made back in 2013 was illegal and charged retired Sheriff Maketa, retired Undersheriff Presley, and former commander John San Agustin with kidnapping and conspiracy to commit kidnapping. According to them, Sheriff Maketa through Presley and San Agustin ordered Detective Kaiser to arrest Trull without any probable cause. There is absolutely no evidence to support this theory. Can you arrest on a theory or do you need evidence? Does this look political? Here is an interesting point; Maketa was charged with tampering with a witness based on Kelli Trull’s new version of her story. However, Maketa was found “Not Guilty”. So, a jury heard all about the multiple versions of Kelli Trull’s testimony and heard directly from her how she changed her story over and over again. They did not believe her “newest” version that Maketa persuaded her to change her story. So 12 people all agreed Kelli Trull was not a reliable, honest witness. 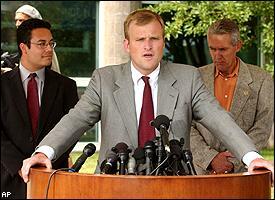 It should be noted that ADA (Assistant District Attorney) Mark Hurlbert, who is the lead prosecutor in this case dropped the kidnapping and conspiracy charges against Maketa a couple weeks prior to his trial; stating they had received new evidence that they believe would make conviction impossible. What was this “NEW” evidence? It was actually nothing new, but rather something they have known from the beginning. According to the motion to dismiss, the arresting detective, Lisa Kaiser stated in a recent interview that she was not ordered or directed to arrest Ms Trull by anyone and did so based on guidance from then Deputy District Attorney (DDA) Shannon Gerhart who was present at the meeting when the decision was made to arrest Ms Trull. But this was not new evidence. Detective Kaiser made this exact statement to the grand jury over a year ago. She also made this same statement during Maketa’s Trial. So why hasn’t ADA Hurlbert dropped the charges against San Agustin? Great question. Did DDA Shannon Gerhart tell investigators there was probable cause to arrest Kelli Trull? Here is a critical point, if DDA Shannon Gerhart was in the room at the time the decision was made to arrest and she stated there was probable cause; wouldn’t the arresting deputy and anyone else associated with the arrest be immune to prosecution? Is it not common practice to have a DA present to help determine probable cause? How many officers, deputies and detective have gone to the DA’s office for guidance and based on a DA’s recommendation have arrested or not arrested? In fact, it is Standard Operating Procedure to go to the DA’s office with difficult cases to get guidance and direction. So, why in this case were individuals arrested for kidnapping when a DA was present and clearly stated there was probable cause to arrest? 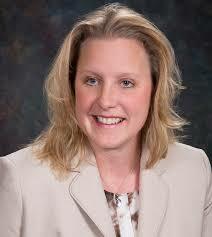 The real question is; was DDA Shannon Gerhart present in the meeting and did she say there was probable cause? According to Detective Lisa Kaiser she was present and did give guidance that there was probable cause. Lisa Kaiser states this in an interview with CBI agents, again during her grand jury testimony and yet again during Maketa’s trial. So why hasn’t ADA Hurlbert dropped the charges against John San Agustin? 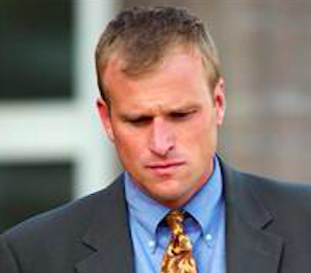 Let’s review what happened that day on September 12th, 2013 when Kelli Trull voluntarily came in to provided investigators a second interview. She arrived at EPSO headquarters at approximately 9:19 am. Detective Kaiser goes down to the first floor and escorts her to an interview room inside the investigations area on the second floor. The interview begins at 9:22 am. Present in the interview is Det. Kaiser and Ms Trull. The interview is being monitored from the investigations’ conference room by multiple EPSO supervisors and DDA Shannon Gerhart, who was invited by Sgt. Robert Jaworski. According to those in the room; the individuals who monitored the interview and were present during the decision to arrest were DDA Shannon Gerhart, Sgt. Jaworski, Commander Mitch Lincoln, and Chief Al Harmon. Those not in attendance were inspector John San Agustin, Undersheriff Paula Presley and Sheriff Terry Maketa. After a short interview with Ms Trull, Detective Kaiser goes to the conference room and confers with her supervisors and DDA Gerhart. According to Kaiser’s interview with CBI, her testimony to the Grand Jury and her testimony at the Maketa trial she seeks guidance from DDA Gerhart who tells her she has PC (probable cause) to arrest. Not any supervisor in the room makes any comments or statements about any concerns making the arrest. Their silence shows they condoned the arrest. Why have supervisors in the room if not to insure legal, ethical, and proper handling of criminal cases? No one present in the conference room ever says in any statement, interview, or testimony that they were ever directed, ordered or even suggested by San Agustin, Presley or Maketa to arrest Kelli Trull. In fact, when interviewed by CBI, DDA Shannon Gerhart admits there was PC to arrest Kelli Trull. Need some proof? 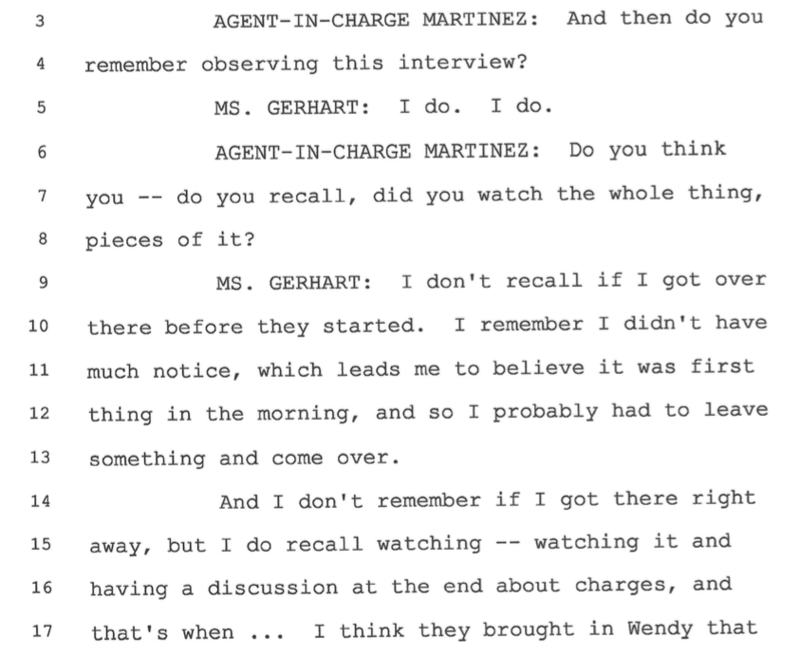 How about a portion of the transcripts of Shannon Gerhart’s interview with CBI? Shannon Gerhart was interview on March 17, 2016 by special agents Martinez and Schaefer. During her interview concerning the Kelli Trull interview and arrest she makes the following statement. 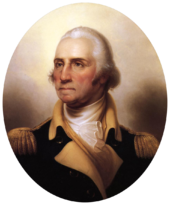 Gerhart says; ” A lot of times we have PC, like we did here, … “. So, she admits there was probable cause to arrest Kelli Trull, but goes on to talk about how she is concerned about being able to “prove it beyond a reasonable doubt” in court. This is supported by what Detective Kaiser says in her interviews. She states Shannon Gerhart is present and she arrests Kelli Trull based on guidance from DDA Gerhart. How can you arrest any Law Enforcement officer for a false arrest when they have a DA telling them there is Probable Cause? Detectives, Officers, and Deputies at both EPSO and CSPD should all be saying; “WTF?”. This causes a real dilemma. You’re a detective investigating a homicide and interviewing your prime suspect with the “on call” district attorney monitoring from a conference room. You seek guidance from the DA who tells you that you have enough for an arrest. A year later evidence comes out showing they are innocent; when the DA is asked why the arrest was made they say; “hey, that’s on them. I don’t authorize arrests”. Everyone who is currently working in Law Enforcement knows the District Attorney’s office is routinely contacted for guidance on complicated cases and provides insight on if there is “enough to arrest”. Shannon Gerhart has now opened pandora’s box by throwing EPSO Detective Lisa Kaiser under the bus. She clearly said all decisions to arrest are solely the responsibility of the arresting agency; the District Attorney’s office has no culpability. Image you are a detective with EPSO. You work hard to establish your case. You provide briefings to the DA’s office concerning your case and they give you guidance to make an arrest. You do and later they throw you under the bus when there are questions raised about if there was probable cause. You do everything in “good faith” trying to be a good cop just to be charged with kidnapping because Dan May doesn’t like you. But if you are the head of the El Paso County Republican party you can run someone over killing them and walk away free and clear. Read Story. Does this sound like an honest District Attorney’s office keeping our community safe or a corrupt highly political organization protecting their friends and attacking their enemies? Shannon Gerhart says she was present during the interview and discussion concerning the charges. But here is the real problem with this case. No one in the room who actually made the decision to arrest is charged. The three that are charged with Kidnapping are not even in the room and there is no evidence they had anything to do with the decision. This is why two weeks prior to Maketa’s trial ADA Mark Hurlbert dropped the charges against him. Hurlbert knows he would look stupid presenting this case to a jury. We predict there will never be any trial(s) for kidnapping; THERE IS NO EVIDENCE!!!! So, why hasn’t Hurlbert dropped the charges against Presley and San Agustin? It’s very simple; CORRUPTION and POLITICAL PAYBACK. Their goal is to financially ruin them; they don’t care about the facts of the case. Their goal is to destroy them how ever they can. What they are doing is completely corrupt and unethical. This entire case is BOGUS and without merit. This will be proven if there is a trial. Let’s get Shannon Gerhart on the stand and ask her about what she said during the meeting concerning Kelli Trull and about her interview with CBI and her testimony to the grand jury. Let’s compare that with Lisa Kaiser’s testimony. We also can not wait to see Robert Jaworski and Mitch Lincoln testify. Lincoln looked so bad last time, we can not wait to see him take the stand again. If Hurlbert takes this case to trial he will look like a complete idiot and most likely will be charged and/or sued for unethical behavior and malicious prosecution. Those will be the trials to watch. It will be interesting to see Hurlbert having to pay for an attorney and sitting in the Defense chair. Maybe then he will realize how corrupt and evil he is. Let’s review the facts of the case. Former DDA Shannon Gerhart tells CBI investigators there was probable cause in this case. Arresting Detective Lisa Kaiser says multiple times and under oath that no one ordered or directed her to arrest Kelli Trull. She also says she made the arrest based on guidance from Gerhart. There were three EPSO supervisors (Jaworski, Lincoln, and Harmon) in the room when the decision to arrest was made. 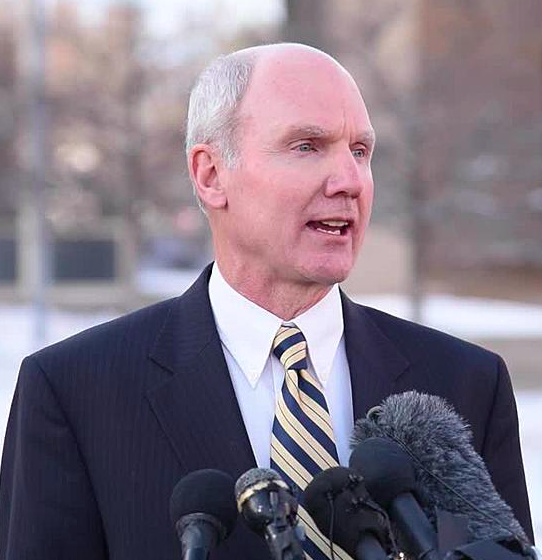 San Agustin, Presley, and Maketa were not present and there is no evidence they provided any direction to anyone concerning the decision to arrest. Imagine you are on the Jury and you hear how the five people who actually participated in the decision to arrest Kelli Trull were not charged, but three people who are not even in the room were. 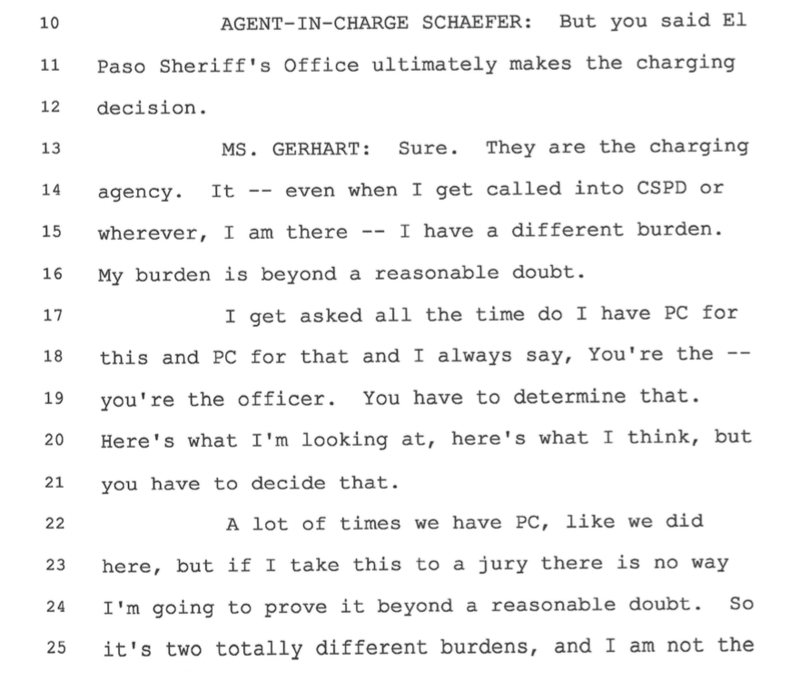 How the arresting Detective, under oath, says she was never ordered or directed by anyone to arrest, but rather made the arrest based on guidance from DDA Shannon Gerhart. Hurlbert is going to get crucified, not only by the defense team but the media. He is wasting thousands of taxpayer’s dollars on a vendetta for Dan May and Bill Elder. We hope there is a trial. It will provide a target rich environment to continue to show the corruption at the DA’s office and Sheriff’s Office. But wait, we’re not done. Would you believe there is more evidence of corruption and malicious prosecution against Hurlbert? We have evidence that a CBI agent might have knowingly provided false and misleading testimony to the Grand Jury (and Hurbert knew about it all along). But you’ll have to wait for our future articles.